Every year, Centacare Evolve Housing conducts a Tenant Satisfaction survey to gather feedback about the services provided to tenants in its affordable and social housing throughout Tasmania. “The level of feedback we received from the 2018 survey was excellent with an over 40% response rate. The results provide us with a clear picture of what we are doing well, or need to improve. They will be used to guide future effort through 2019,” said General Manager Housing Operations, James Norman. “The 392 surveys completed showed an overall satisfaction rate with Centacare Evolve Housing’s service provision at over 90%, which is a great result and similar to last year,” said James. “Looking more closely at the levels of satisfaction for different aspects of tenants’ experience of living in Centacare Evolve Housing properties, we were pleased to see that respondents’ levels of satisfaction with the neighbourhood and their rights as tenants remained steady from last year at over 76% and 87% respectively. One result that dropped slightly from last year’s was the level of satisfaction with value for rent paid, which is probably a reflection on rental increases seen throughout the housing market last year. But more people were satisfied with the condition of their home than in the 2017 survey,” James said. 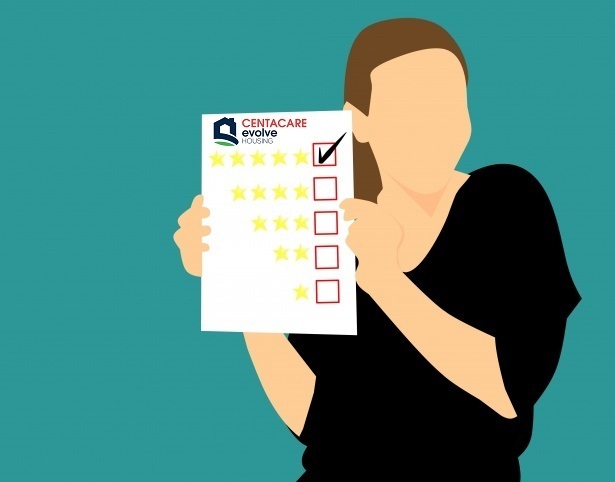 The survey showed that tenants had more knowledge about how to provide feedback to Centacare Evolve Housing, and more reported that they were satisfied with how their feedback was handled. More respondents reported they were satisfied with how their repair requests were dealt with than in 2017, particularly in being well informed about how long their repairs would take. Almost 90% of respondents had been in contact with Centacare Evolve Housing’s office and a greater percentage than in 2017 were satisfied with how the staff handled their query, and with the outcome. “These are excellent results and reflect the fantastic dedication Centacare Evolve Housing staff have to the work they do,” said James. “Centacare evolve housing has been and is an absolute pleasure to rent through.. I love how i don't feel uncomfortable in my own home while inspections are happening.. I also love how lovely everyone is”.